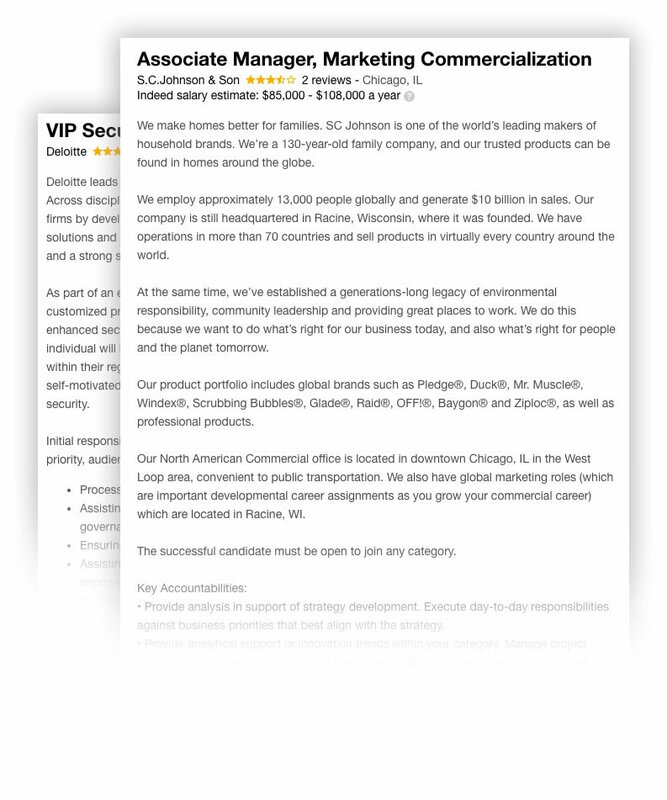 of Glassdoor users and potential candidates are actively looking for jobs or would consider better opportunities. of candidates would consider leaving their current company if another company with an excellent reputation offered them a job. of employees are considering a new job and are concerned about the availability of key skills to get a better position. Now it is a candidate’s world, and we all are just living in it. Managers and CEOs now tend to require more skilled candidates and ready to provide better job environment and bigger salary. Personalized approach with a Skillroads' tool. Just feed a search field in your cabinet with your preferences and let us do the rest. Get an access to digital job fair and explore all local jobs opportunities instantly. 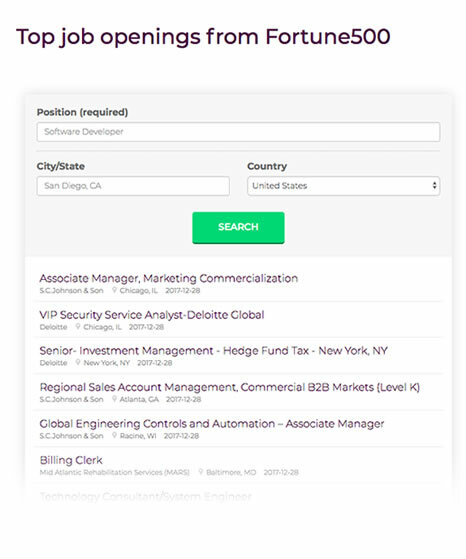 Receive a list of jobs, personalized for your experience and set of skills. And there is a big chance you are the most suitable one for this job opening. Master your career opportunities and check the salary and top companies that may hire you. The current job market has a growing number of diverse job openings. And when it comes to job search some candidates get confused because of the overwhelming quantity of vacancies. It is not so easy to find the right one among hundreds or even thousands of job postings. Moreover according to the Bureau of Labor Statistics the total number of new jobs that should be created for an occupation in the next 10-year will be 7-10 times more than current number of job openings on a market. This means new skills are required. Some positions are dying, some will occur. Nowadays there is no need to attend job fair. Whether you are looking for a job in management or you want to find some great IT jobs, we will do this for you. Get a personalized list of top job openings that perfectly match your education, skills and professional experience. Now choose preferred companies and start working on your resume and professional cover letter. Let us do all the tedious and time-consuming work for you.